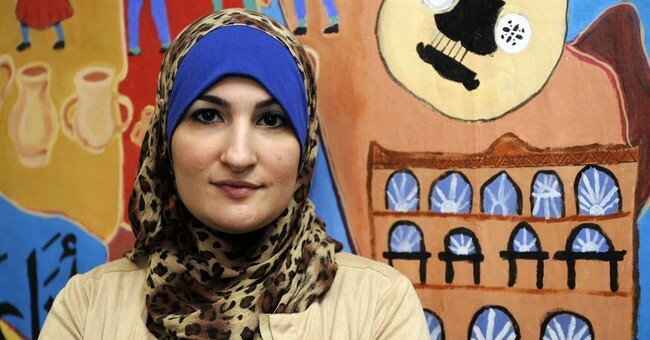 Former Women's March co-chair and executive director of the Arab American Association of New York, Linda Sarsour, said she is "triggered" by those who have condemning Rep. Ilhan Omar's (D-MN) anti-Semitic comments. Rep. Ilhan Omar has made numerous anti-Semitic comments. She has repeatedly defended what she said, despite backlash from people across the aisle. Rep. Ilhan Omar's comments caused Jewish Americans to feel unsafe and targeted. It was to the point where Congress had to pass a resolution condemning "religious hatred." Democrats were so afraid of alienating their base that they refused to call out Omar by name, despite the resolution being a direct result of her comments about people's loyalties if they're pro-Israel. But it's okay for her to say those things as long as you aren't triggered, right? What about the thousands and thousand (possibly even millions) of Jews who were triggered by Omar's comments? What do you say to those people that have experienced anti-Semitism their whole lives? What do you say to those families who have loved ones that fell victim to the Holocaust? It's radical – and truly disgusting – comments and thoughts like Omar's that lead to bigotry and hatred ruling a society. Look at some of the world's greatest dictators. Not one single conservative I know has seen or heard about assassination threats on Omar. If anything, all they've done is call for her to be removed from the House Committee on Foreign Relations. Her take on Israel and the Jewish people is a conflict of interest. None of us condone violence against those who disagree with. Conservatives are typically the first to condemn hatred and violence. It seems to take Democrats days (sometimes weeks) to come to the same conclusion. If you want to reevaluate anything, it should be your party's inability to call out blatant hatred and religious bigotry.